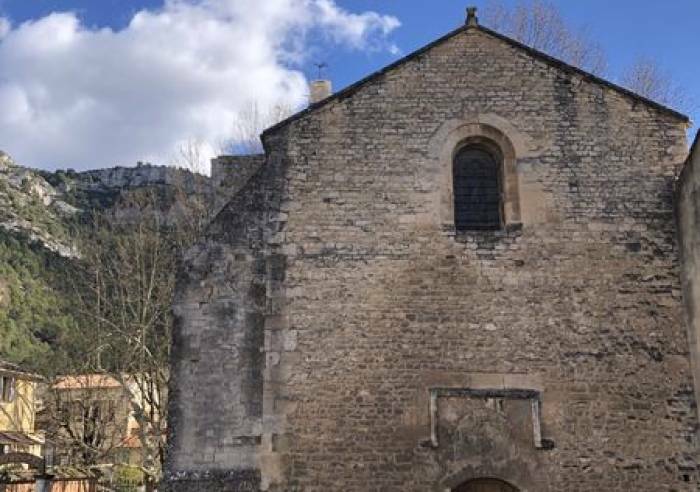 The exceptional site of "Vallis Clausa" - the Closed Valley, which gave this beloved Vaucluse county its name, and the small village of Fontaine de Vaucluse too! 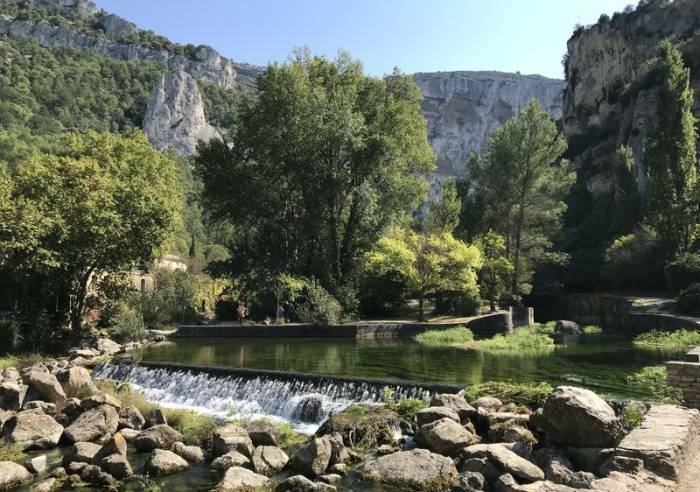 At the end of a deep and verdant river canyon, at the very base of a steep cliff, Vaucluse's most beautiful river surges forth from under the ground. 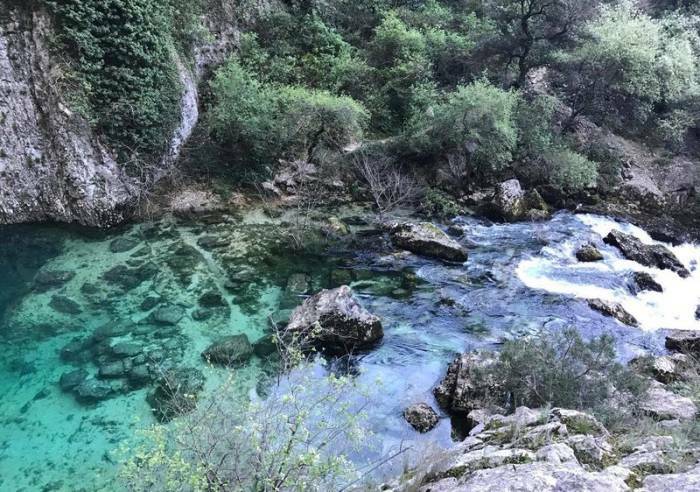 This is the Sorgue river, whose sources is one of the biggest resurgences in Europe. As it emerges from the underground, it sometimes gushes, sometimes trickles. 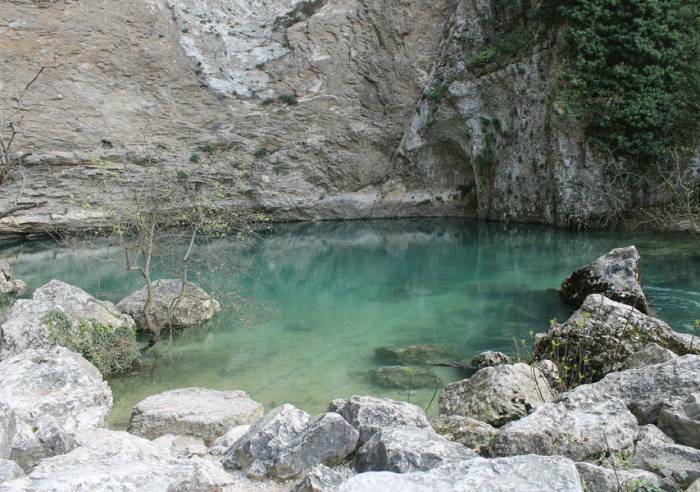 The "fountain", as the emerging Sorgues river is called, is nature's fantasy. 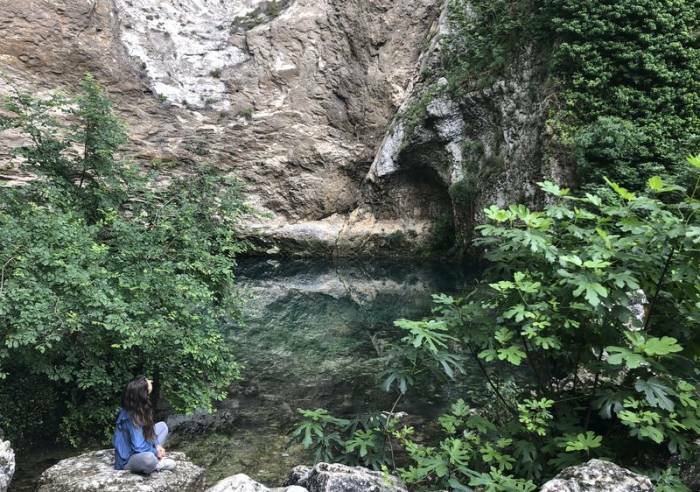 The beauty of this natural site moved many writers and poets, including Petrarch, Boccace, Chateaubriand,Frédéric Mistral and René Char. 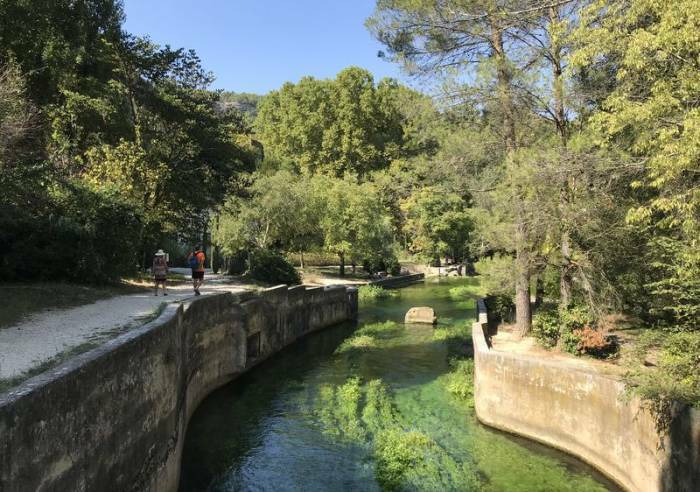 There is a footpath all along the river, up to the resurgence.In Fontaine de Vaucluse, see: the remains of the 14th-century castle, accessible on a steep footpath, the churchNotre-Dame and Saint Véran from the 11th century, the Petrarch Museum, the musée des santons , the Musée d'Histoire Jean Garcin : 1939-1945 , l'appel de la liberté , le Musée du Monde Souterrain . Also see the hand-made paper mill, where the water wheel continues to churn the Sorgues waters to make paper. There are also float trips down the Sorgue in canoes and kayaks. 18-hole golf course nearby.